You know how there is always talk about a man and his garage? I know from my personal marriage that my husband is always talking about his dream garage filled with all these tools that I don't know the difference between. Well, a kitchen to me is the same thing and like a man wants powerful and useful tools in his garage, I want the same for my kitchen. Kitchen equipment is no where near as expensive as garage tools however somethings will still cost you a pretty penny, but I'm here to tell you that some of those high ticket items are more than worth it! The follow is a list of my five favorite larger and more expensive kitchen items that range in price from $30-$500. 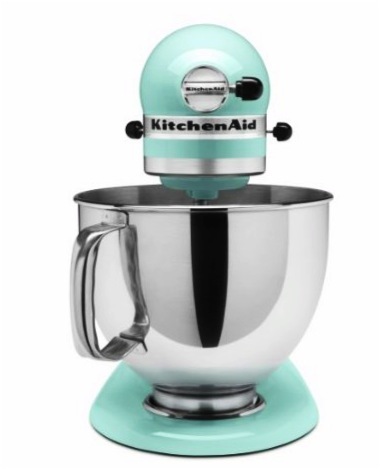 A Kitchen Aid tends to be that item that many people have because they put it on their wedding registry. However, just because someone has an awesomely versatile kitchen tool doesn't mean it's used for much more than making a batch of chocolate chip cookies from time to time. Don't get me wrong, the Kitchen Aid is great for making cookies but that is a lot of spoken-for counter space (read prime real-estate) when a bowl and wooden spoon does the trick just fine too. Our Kitchen Aid gets used nearly ever day, it's almost a joke how easy it is to make homemade pizza dough with the dough hook and did you know you can actually shred chicken in it with the paddle attachment? I feel for any of you out there who have a kitchen aid and still use the two fork method, game changer. We also have the ice cream bowl which makes up the most hot summer day, stomach pleasing ice cream and I'd eventually love to get the pasta making attachment as well. In addition to the ice cream bowl and pasta maker they also sell a slicer/shredder, grinder, and sausage stuffer! We debated this purchase for about two years before biting the bullet. We were originally in the crowd that sort of just assumed that all blenders are the same and that the high price tag of the VitaMix wasn't really justified. After watching many presentations between Costco and Fairs, as well as friends slowly purchasing one, we decided we'd make it a 'baby purchase' because I was planning on making all our own baby food. Okay, so I know we didn't really need a top-of-the-line blender to make baby food BUT it's so much more. Between baby food, smoothies, soups, baking (yes I use it for a lot of baking, it's how I add things like flax and chia seeds to my muffins), making peanut butter, hummus, mayo (YES, MAYO!)... it's been worth every penny. This was my 'kitchen aid,' the machine I've had in my kitchen for several years that I haven't really taken advantage of until lately. Gabriel loves dehydrated mangoes but purchasing them in the store usually means a lot of added sugar, now I just buy a big box of them and dehydrate them (plain) myself. 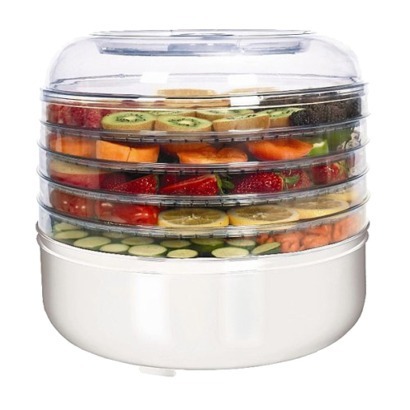 I also love dehydrating fruits like strawberries for my oatmeal, as well as for granola and homemade granola bars. I plan on also using it to dehydrate the herbs in my garden so they won't go to waste! This is a machine I just added to my collection the other week! I've been making homemade bread since I was a child and a year ago Chris and I decided we'd no longer purchase bread in order to manage our budget (read about how we killed our debt in half the expected time here). Many people are intimidated by making homemade bread but I honestly believe that anyone who has the slightest interest in giving it a go can be successful! Though I enjoy making bread and don't find it difficult, it is no secret that it is time consuming. With another baby almost here I thought it would be advantageous to save some time by buying a bread maker and I must say that I've been very impressed! Okay, so the first one I bought was a total dud- didn't even make it to the baking cycle but fortunately I bought it with my Amazon Prime membership and had a new one at my door two days later to replace it. My only complaint so far is that I don't care for the shape of the loaf so when the weather cools down I might opt to remove the dough from the machine before the baking cycle and instead bake the bread in my own loaf pan in my oven. Cannot forget the crock pot, I think this is something that most people do have and use. Do I assume that correctly? I started to really take advantage of the slow cooker when I was teaching. It was a lot of work to teach all day, spend a few hours working at school after school, then come home and try to make dinner while continuing to work. My favorite thing to use the kitchen aid for is cooking frozen chicken breasts! Any recipe that calls for shredded chicken I cooking up some frozen chicken breasts in the crock pot then shred them up in the Kitchen Aid! 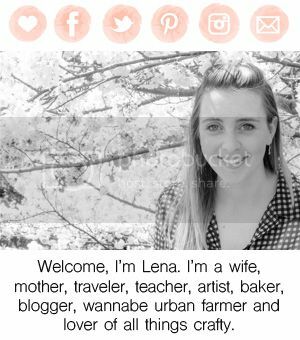 Unfortunately I've run into a lot of not-so-awesome recipes out there for the crock pot but once you weed through enough and discover those keepers it really makes life so much more manageable on days that you think will be chaotic, days where you just don't feel like hanging out in the kitchen, or those hot summer days where running the over will just be too much. 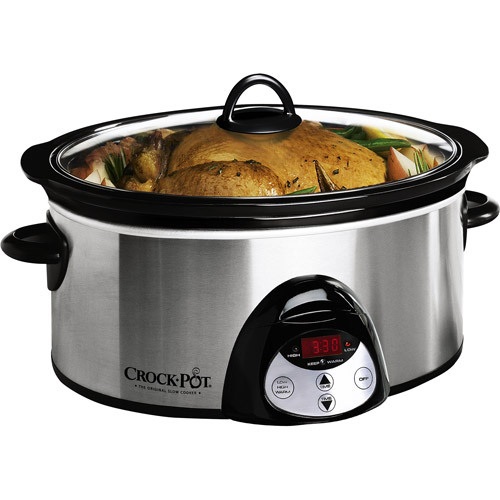 Compared to the rest, the crock pot isn't necessarily an expensive purchase but it's still a large piece of equipment to house! 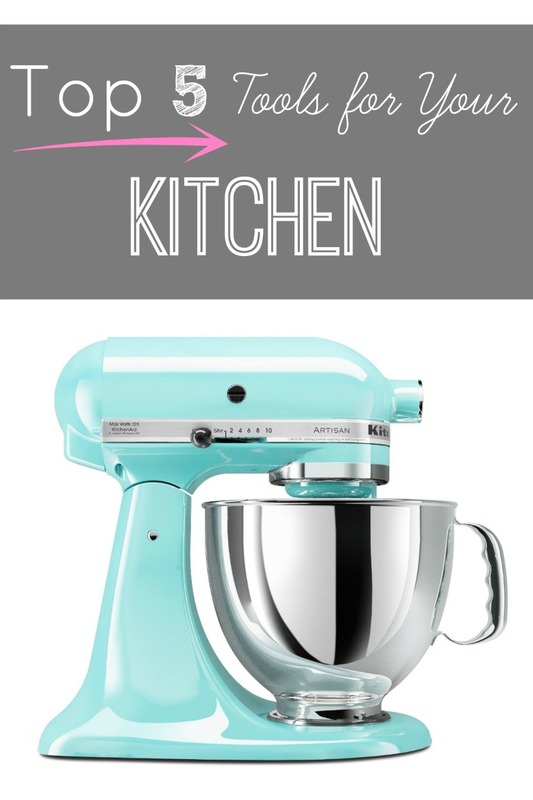 Do you own these kitchen tools? Which are you favorite? What large kitchen item do you have that I didn't share that you can't life without? I use all five except the dehydrator and the bread machine, but now that I will be home full time. (unless i get a part time job) I want to explore those more often. The only thing I would add to this is the Keurig, it has saved us from wasting so much coffee and we enjoy having a fresh cup of coffee or tea whenever we like and that we get to choose what flavor we want!! 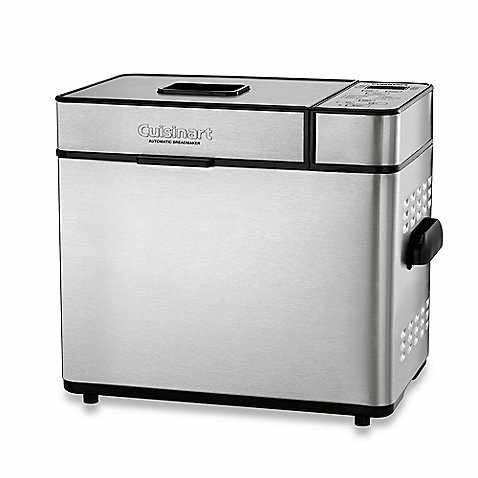 I love my kitchen aid and my crock pot, and would LOVE to get a dehydrator! We had one growing up and my mom would sometimes make us delicious dried strawberries and other fruits. One day!! !